The Michigan Philharmonic invites you for an afternoon of classic and contemporary tunes. Mozart's Symphony No. 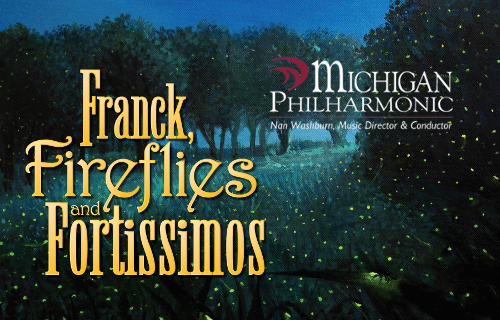 35, Franck's Symphony in D minor, and our musical friends from Michigan State University, composer David Biedenbender and Trombonist Ava Ordman bring us a joyful Trombone Concerto inspired by the composer's children chasing fireflies. Experience the Michigan Phil. Sunday, March 10, 2 PM, First United Methodist Church, Plymouth.